Analytics: How can I see what my users searched for? HomeAnalyticsHow can I see what my users searched for? On Pro plans you can activate Google Analytics tracking. 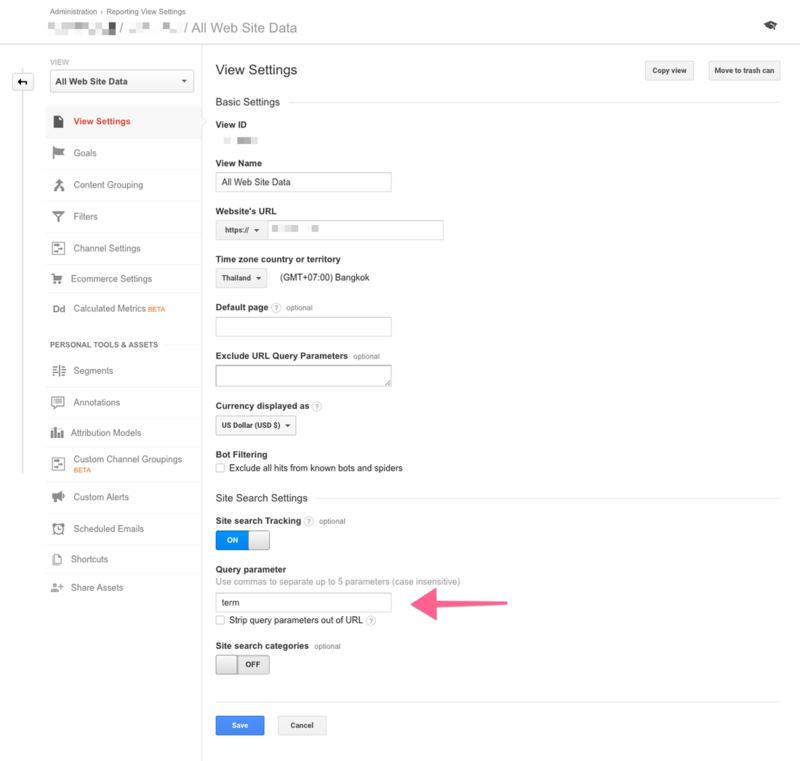 Then you have to customize the "Site search Tracking" settings in Google Analytics. On Google Analytics, click on "Administration", then "All Web Site Data" (or other tracker profiles).